Glasgow City Council have put about a quarter of the area of my local park, old blaes pitches, now lately grassed over and quite riddled with puddles, up on a commercial property website to seek bids. It isn’t the first time locals have had to fight a change of use for that area – it was proposed as a car park for Scotstoun Leisure centre a couple of years ago- a proposal that was seen off by local campaigners. 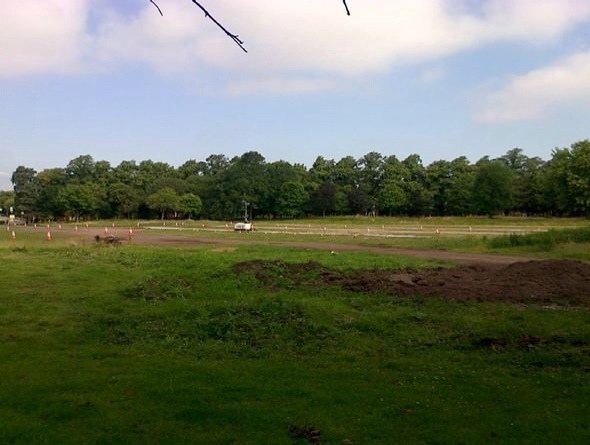 However this time two community groups seem to be gearing up to fight each other over the use of the pitches. Friends of Victoria Park propose a community orchard for the nearly 7 acre site, and have been at the forefront of fighting commercial plans for the site – getting a turnout of 200 people to a local meeting to discuss council plans for the Park. Another group – Broomhill sports club (BSC) – a club for local kids that runs football and netball training for all ages from P1 and operates out of various venues but has no home of its own, is also interested in using the pitch. They have proposed all-weather pitches, changing facilities and a cafe for the site which will be self funding and available for schools and other groups to use at other times. The options are being very much portrayed to the community around the park as an either/or choice. Only one or the other can prevail. The two groups have, apparently, tried to come together on a joint proposal but talks broke down. My analysis, that may well be wrong, is that the demographic of friends of Victoria Park is generally older without children still at home, and they prefer the quieter orchard proposal, whereas the BSC propose a model covering the whole area to maximize the area for sport, a building for changing rooms etc and to allow it to have economy of scale that would allow for it to cover costs, which would allow no space for the orchard. However there is a danger that, while two groups vie for local attention and council agreement, the actual local community around the park become confused, disillusioned, and distracted from the reality that the council is intending to use the park for commercial reasons. There is no one community position to coalesce around and many people shy away from disagreements locally and would rather stay uninvolved. There is room for a third view. One where there is space enough for an all-weather football pitch, but not on the scale envisaged by BSC, but also for a community growing space and orchard. 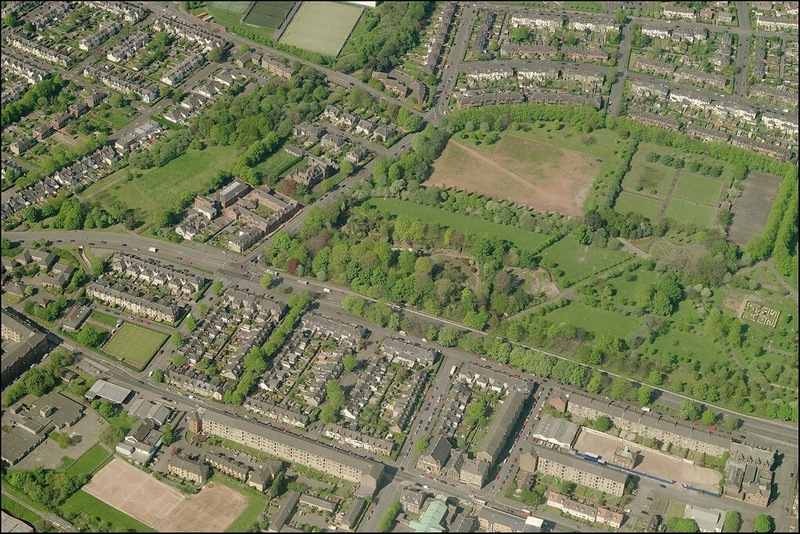 The old blaes pitches are vast, seven acres is far too big an area to have a manageable sized community orchard or community growing space/allotments. But also occupying the whole area with sports pitches and associated buildings, especially on the scale suggested by BSC would be too much for the park environment, and much of the area could be lost to community use. Why can’t we have both better sports facilities and a community orchard? Let’s campaign for both. And let’s have a cafe too – some commercial activity is surely a good thing- we could knock through the fence separating the brilliant bowling/golf/tennis area and link the sports pitch up to be minded from there and convert and extend the little brick building by the bowls/tennis courts into a cafe and nice(r) toilets. If we can get these two effective and influential community groups working on what would be best for the community rather than polarizing opinion around two, not mutually exclusive, options then we will win. If the two groups are set to fight each other, we are in a prisoners dilemma situation where the only winner will be the council who will find it far easier to get their commercial interests through. I have written to my councilors and here is what they think …..
Also – why not let me know what you think – I have made a little survey. Please take the survey here. This entry was posted in Uncategorized and tagged blaes pitches., commercial property, Friends of Victoria Park, Victoria Park Development by nager. Bookmark the permalink. We live directly opposite the blaes pitches and are very concerned about the loss of the blaes area for any commercial venture. Parts of the park have already been lost forever because of the Clyde Tunnel approach road and the roads on the south side of the park and it would be terrible to lose to blaes area too. However, you have only mentioned 2 possible options for the blaes area. 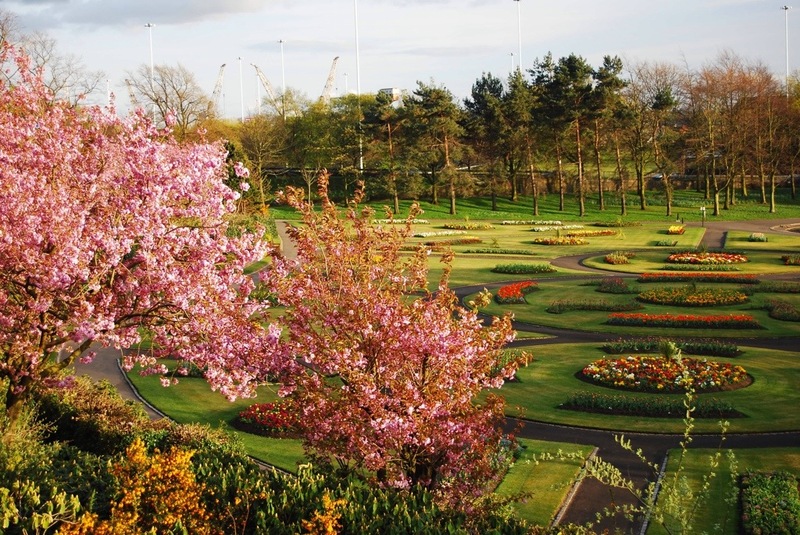 Many of us closest to the area would prefer to see it grassed over and properly maintained by Glasgow City Council. I look out on the area every day and see runners, walkers, dog walkers and children using the area continually. It is far from ‘disused’ as some people claim. Broomhill Sports Club would sterilise the blaes area for other uses and we have major parking problems already for residents because of park visitors and Glasgow Warriors matches so the traffic and pressure on parking would be an issue. However, we don’t agree with the Community Orchard Proposal either. We see what happens in that area in the evenings. We’ve often seen groups of people drinking and exhibiting anti-social behavior such as urinatng, fighting and other things that I’d rather not mention, especially in the spring/summer months. The police are regularly called out and these are regular and not isolated incidents. An orchard would give cover to such activities and would provide missiles (apples!) and the trees could end up being vandalised. I think FOVP need to realise that not everyone wants an orchard and would have more support and membership for saving the blaes area if they stopped pushing this. 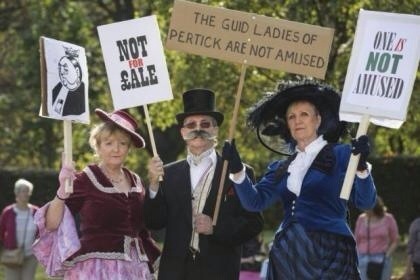 I know quite a few people that went to the Hands Around the Patk event to show support for saving the blaes area from commercialisation and were annoyed that the orchard was mentioned and have not joined FOVP because they are opposed to an orchard. The main goal right now surely is to save the park from commercial developers? I am so sorry for not putting a ‘grass over’ option on the survey. It occurred to me that was a grave error as I jogged past the blaes this morning in the Park Run but I forgot to change it when I got back. Definitely that would be good – as soon as I read all-weather then you start to think – will it be free access. It must be free to use as it always has been. And it is a vast area – should be room for a full size football pitch, maybe marked so can be used as two half size as well. Plus surely enough room for a cafe too at the edge somewhere or central in the park. What would FoVP do with all the fruit that an orchard would produce? They would have a glut at this time of year. Would a commercial enterprise have to get involved? I think part of the pitches should be turned into a skatepark similar to the one in Kelvingrove Park. It could be located right at the corner and flood-light so it could be kept an eye on. Toddlers have swings in the park, older folk have the magnificent flower beds, but there is nothing for teenagers to do. If they are given somewhere to go that can easily be policed, that is better than them hanging around other much less safe places. that might be good. Although it is a huge park – I am sure there is room somewhere for a few fruit trees in some sort of orchard as well. Children would like to see that as well. But if they are anything like the fruit tree I am trying to grow in my garden, then you have no worries about a glut !! I have still to get any fruit at all !! Frankly I think that ANY community project would be fine but I would strongly object to any commercial use apart from catering. Perhaps the best thing would be to arrange a protest group to work against the commercial propositions and then, once that war has been won, the group can get together and take peoposals for the new use/uses of the area.